These convenience kits are compatible with Shimadzu™ Prominence HPLC Systems and Nexera X2 UHPLC/HPLC Systems. Convenience kits come complete with vials and closures. Featuring a soft durometer silicone septa for optimal needle penetration and recommended for Shimadzu Autosamplers. These kits offer the extra quality assurance that time after time the vials and closures will perform at a superior level. Ordering information: Kit includes 100 vials and 100 caps with pre-assembled septa. 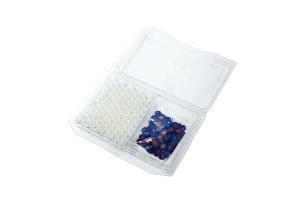 Reusable two-compartment trays protect vials and closures while keeping matching supplies together. Clear trays make it easy to keep track of available supplies without opening containers. 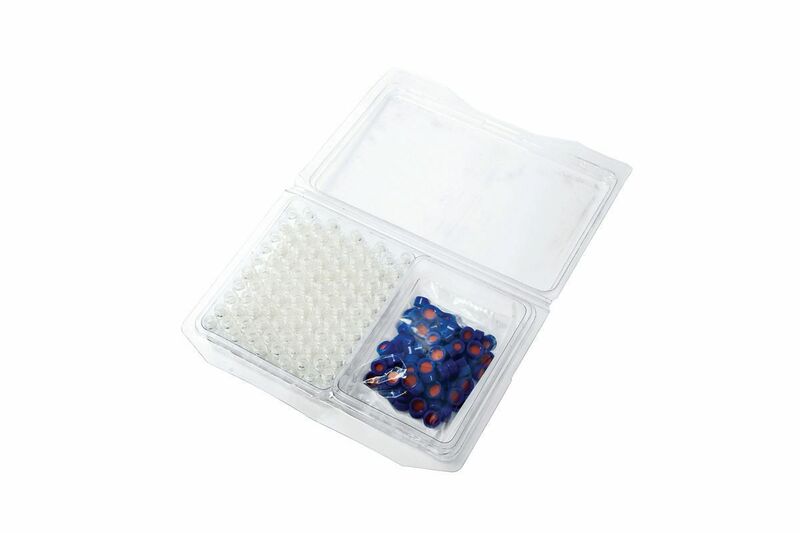 Packaging: Packed in reusable trays.